HLB Series Convergent Laser Measurement Sensors. 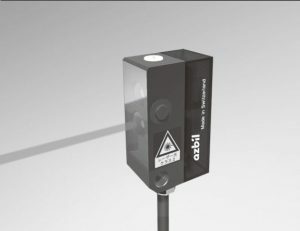 The HLB convergent laser measurement sensor is specifically designed to detect very small or thin parts through differences in distance, it is unaffected by color or reflection rate of the desired target. The sensor has a small size footprint (12 x 16.3 x 27 mm) and has easy mounting with a dedicated bracket included in packaging.